Check out this interactive graphic about the benefits of water for your body! The second annual Water Issues Workshop was informative and well-worth attending. Producers from Terry County in attendance received the latest information on water usage in the county. South Plains Underground Water Conservation District Manager, Jason Coleman, discussed historical trends in supply and water usage. 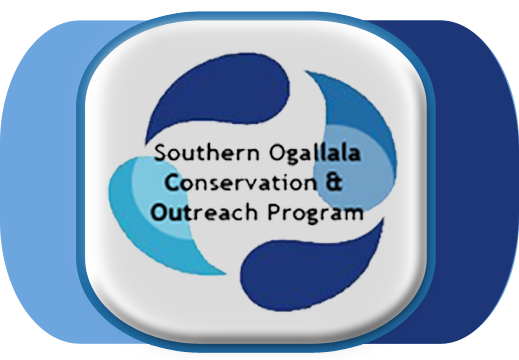 In addition to historical trends, Coleman addressed desired future conditions of the Ogallala Aquifer and concluded with future projections based on present usage and acreage. 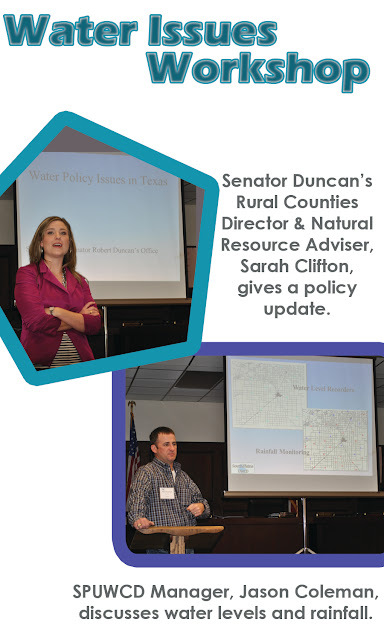 Following data from the water district, Rural Counties and Natural Resource Adviser, Sarah Clifton of Senator Robert Duncan's office, discussed plans for the upcoming legislative session regarding water. Clifton mentioned water infrastructure as being one of the main focuses for the Natural Resource Committee to address throughout 2013. In addition to planning the layout of the infrastructure, Clifton mentioned finding a permanent funding source for water planning to be a big-ticket item on both house and senate sides of the legislature. For more information on these producer meetings, feel free to contact us at 806.637.7467 or email us at spuwcd@spuwcd.org.